In a post called A Daddy’s Letter to His Little Girl, Dr Flanagan shared a touching letter that is sure to melt the heart of every single parent who reads it. Dr. Kelly Flanagan is a loving father and a clinical psychologist. He’s also a writer and blogger with a large following of parents on Twitter and through his blog UnTangled. 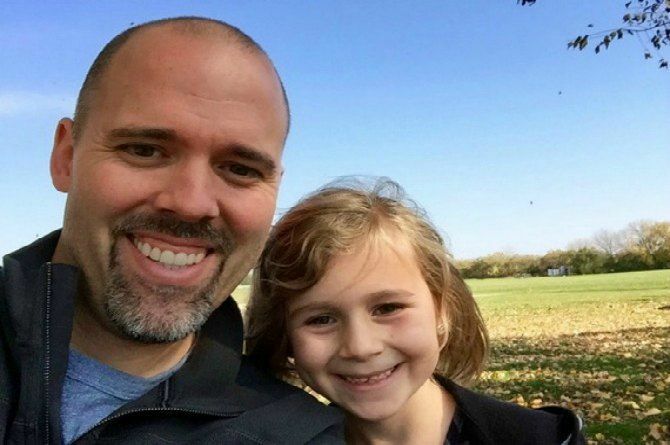 Recently, in a post called A Daddy’s Letter to His Little Girl (About How Fast She’s Walking Away), Dr. Flanagan shared a touching letter that is sure to melt the heart of every single parent who reads it. In essence, the open letter to his daughter shares his fear that she’s growing up too fast. He reflects on the earlier days of her life and how he cherishes them and every single moment of her life. He wants to bask in her memories and never let them ago. Unfortunately, he knows that as a parent, he must learn to watch and support the growth of his daughter. He knows that she won’t be his little princess forever, but he wishes she could be. Though his daughter is still very young, this loving father knows that he has to grow as she grows. He knows that he has to prepare for each step of her life. He promises that even though she’s “walking away too fast”, he’ll be by her side every step of the way. In fact, he knows now that he has to encourage her growth, and has began to embrace her development. I remember the first time you asked me to drop you off at the curb. I remember the purpose with which you walked toward the school, ponytail bobbing, backpack bouncing, not looking back. Five years old, walking boldly around the corner, as if twenty-five was just around that corner, too. A year ago, you depended upon me for lunches. Now, after school, you climb right up on the counter and make a sandwich out of a holy mess of PB&J. You’re walking away, and you’re climbing and creating away, too. I’ll watch you grow up and look more and more like your mother — you have her chin and lips and cheeks and that same lone-spiraling curl which kisses the corner of your right eye on its way down. But unlike your mother, who seems like she isn’t going anywhere, I’ll watch you walk away. Then, I pray, one day as you’re idling at the curb and your little one walks away — turning one more corner into his or her own life — you’ll think of me. I hope you’ll pick up your phone and give me a call. I hope you’ll walk back home, so we can talk. VIRAL: Single mom teaches her son to do chores because housework "isn't just for women"